The Thunderbird ... precursor of the Mustang! Three vehicles have influenced the creation of the Mustang. Without one of them, it is possible that this revolutionary car with a strong personality is never arrived. Ford Thunderbird originally appeared two places over a decade before the Mustang, while Chevrolet Corvair and especially the Monza was 4 places: Here are convinced that Lee Iacocca Ford could benefit from something similar. Finally there was the Falcon whose low shot components has produced the Mustang a sports car at low cost. None of these cars has generally been associated with the creation of the Mustang then there have all played a vital role in the history of his life. The name Mustang. The official story is that John Najjar designer of the Mustang "prototype I" have been a fan of the legendary American fighter of the second world war, the P51 Mustang and is thus called the new Mustang vehicle. The aircraft was named by analogy with the horses browsing U.S. plains, but the boss of Ford did not see an airplane emblem on this car. 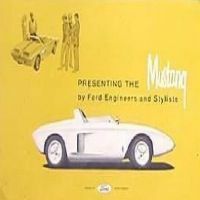 Another version it that Robert J. Eggert marketing director of Ford has received a gift of a book dealing with horses Mustang (1960) and that gave him the idea of â€‹â€‹the name Mustang. Other names were also offered Cougar, Torino, while Henry Ford II wanted T-bird II. At a meeting on the subject was the name Mustang that won the prize. Summing up we must add that the Mustang is a "pony" smaller, agile and fast as the horse, the idea was first Ford to create a "pony car", by definition, light, flexible, fast. The P51 Mustang was a small plane, agile, fast. Then the plane or pony? In 1961 Lee Iacocca, Ford executive vice president is launching his project "pony car". And a small sports car, 4 seater with bucket seats in front, floor shifter and proposed less than $ 2,500. 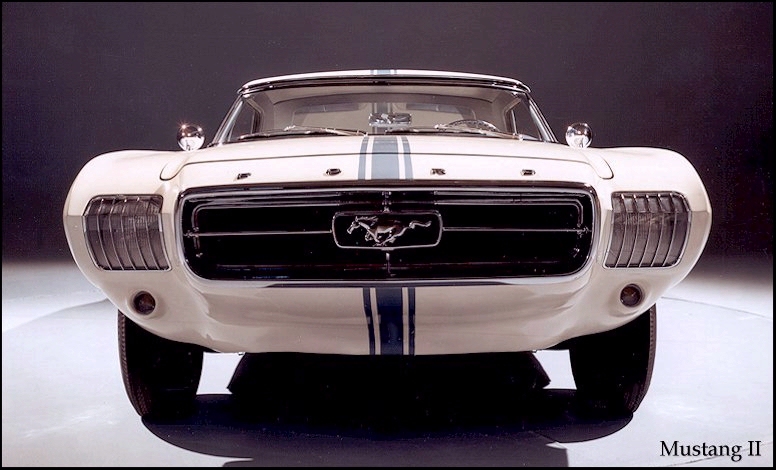 Ford approved the start of production of the Mustang I in September 1962. Lee Iacocca would change the future of the automobile. Lee Iacocca had formed around the project a multidisciplinary team of engineers, ergonomics specialists, designers of interior and exterior. But also designers, from designers and marketing specialists. Thus were born the first sketches. The second step was to move from sketch to clay model: the result was not long in coming. 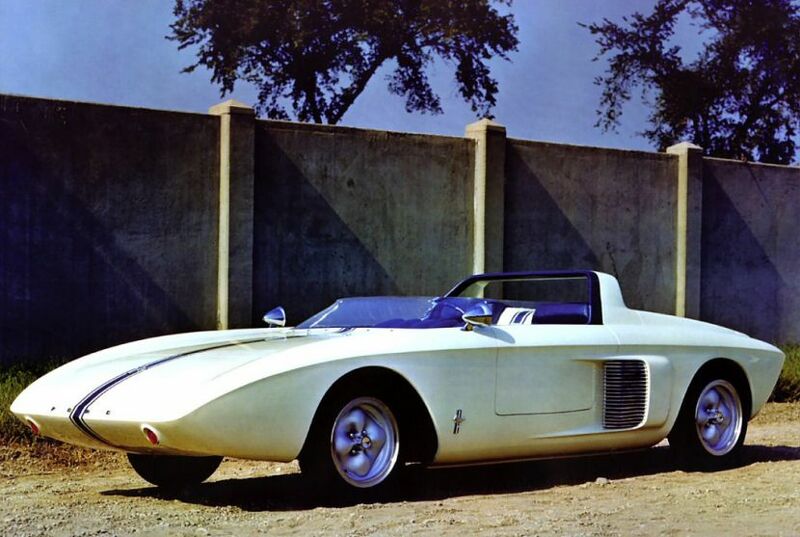 Mustang II concept in 1963, after the first concept designers began sketching closest to the final result. Mustang 64 - ½, is neither more nor less a Falcon with a redesigned bodywork using the same engine, transmission, suspension etc.. This is the first affordable sports built in North America. 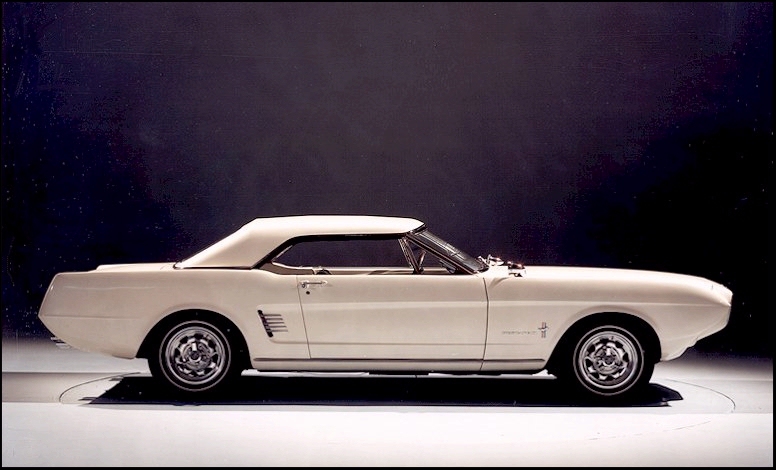 The first factory Mustang came out March 9, 1964. She was nicknamed Mustang 1964 ½ but in reality it was a 1965 "premature, on certificates of registration to mention YEAR it is registered 1965 such as the 2012 Mustang Boss 302 out early in 2011. 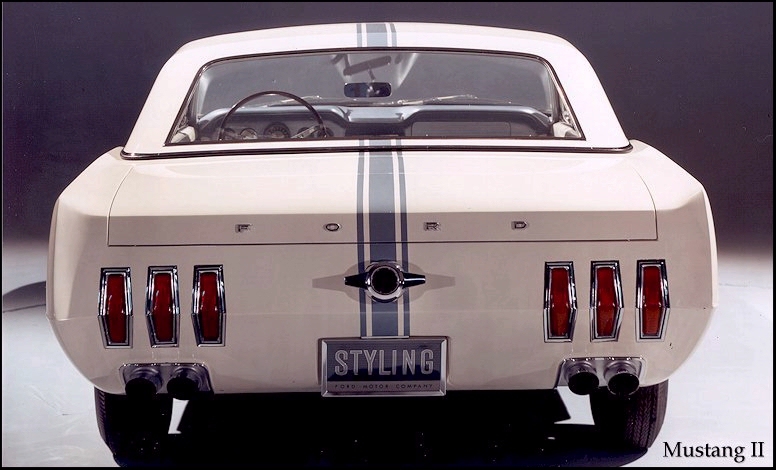 To know the Mustang, Ford launched a major advertising campaign. April 16, 1964, three television channels launched the commercial spot at the same time 21:30. Immediately after the showrooms of Ford are invaded. Everyone wanted to be the first to buy one. 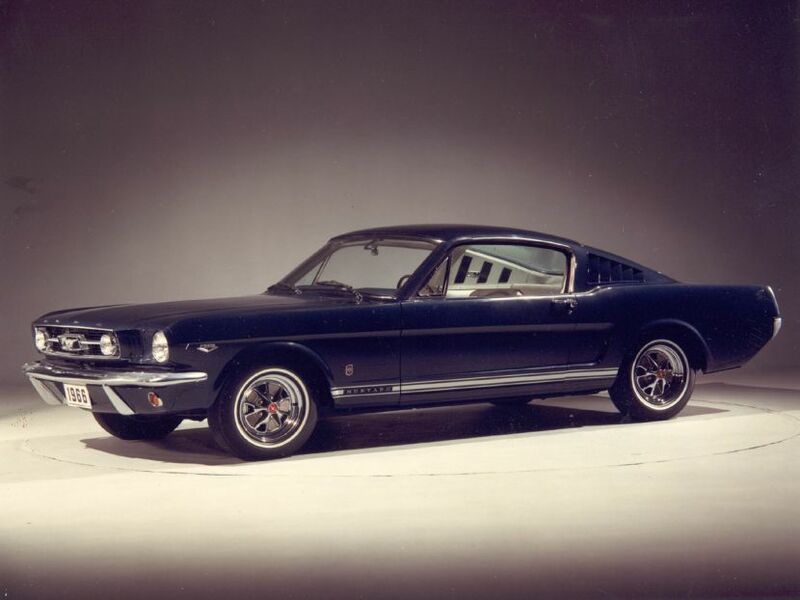 That day Ford sold 22,000 Mustangs; late 1964 Ford had sold 263,434 and at the first anniversary of the Mustang ,April 17, 1965 418812 Mustang had been sold. Lee Iacocca was then called with reason "the father of the Mustang. In 1964, there were 6-cylinder engine 170 CI V8 260 CI, 289 CI or V8. And for a high performance engine, you could opt for the 289 HiPo which meant High Performance. Most buyers prefer to pay extra and have a V8 someone in either capacity. The steering was optional as well as power brakes. 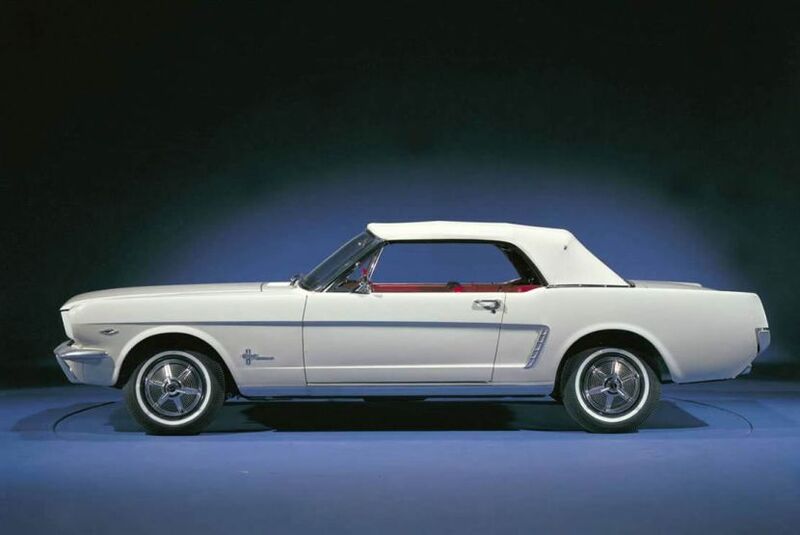 In spring 1964, the Mustang sold for $ 10 less than the Volkswagen Beetle. It was so successful that sales exceeded projections Lee Iacocca believed that produce 100,000 units in the first 12 months. The success was such that in 1965 Ford would have been content to continue production without changing the model. But this was not the case and the production of the new model was launched well before changing patterns of builders that traditionally fall. The first major innovation was the introduction of the fastback shape. In this new 2 +2 Fastback model rocked the backseat, leaving only 2 places to the occupants. This new style broke the traditional form of U.S. vehicles to make it even sportier and more youthful. He went to change the future vision of the car and the GT appeared. 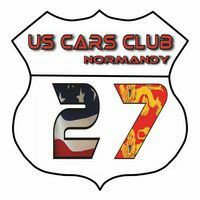 Group 170 CI 6 cylinder engine is replaced by a 6 cylinder 200 CI, 260 CI 289 by 2V. The 289 4V HiPo 289 and 271 HP remaining unchanged. We can not ignore the arrival of Carroll Shelby in the Ford team and out of the Mustang Shelby GT 350 in 1965. 1966 Ford reclame rightly be the automaker that built the three cars being sold the faster all the time. Model A, the Falcon and Mustang have all established their own records, but the Mustang beat the Falcon 1000 or 2000 units in the first year. In 1966, 609,946 Mustang left the assembly line and it was the status quo at the group level and engine improvements. First model changes on the Mustang. The taillights are concave. The length and height are increased 2.7 and 5 inches. The first big engine comes under the hood, a 390 CI 320HP developing, option to 264 dollars more. A bargain compared to the performance offered. There was also a 427 CI engine 410cv and another two carburetors 4 425cv body. 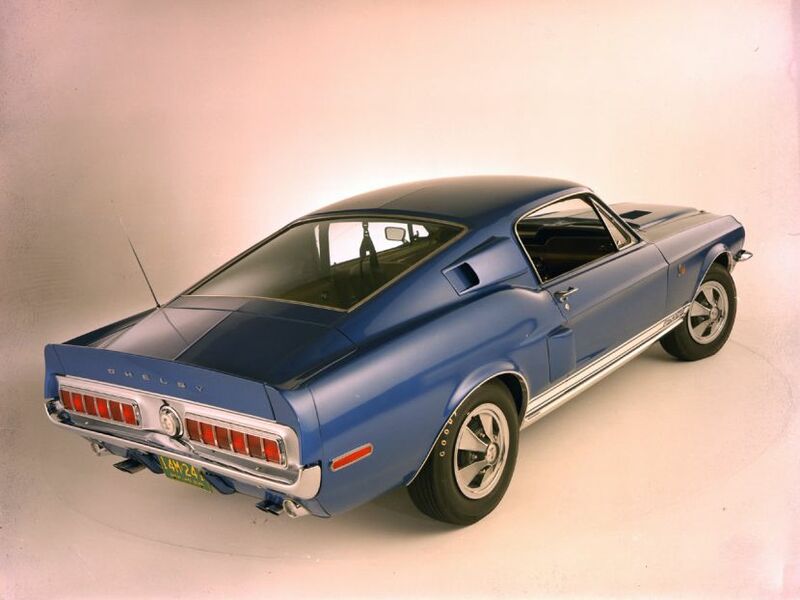 In 1967, production of Mustang reduced to 472,000 units due to the arrival of the Chevrolet Camaro. There was also a version with the GTA 390 CI engine. for the first time in 1968 on the first there is a tilt steering wheel to the right to facilitate access to the cockpit. Total production in 1967 was 475,344 Mustang. Little change in 1968 compared to 1967. There is the introduction of the 428 Cobra Jet 1 April 1968 with either a 4-speed manual transmission or a 6-speed automatic transmission. Plus some regional versions of the Mustang including the "California Special" and "High Country Special." Side group 5hp motor has been less for each model except the 428 hp 335. Total production 321,798 units. After placing his helmet and gloves, Carroll Shelby tries to realize his childhood dream; beat Ferrari with an American sports car that cost three times less than the mechanical expensive and sophisticated the Commendatore. 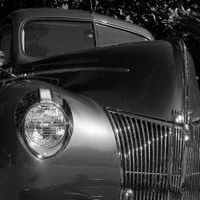 His dream gave birth in 1962 to the legendary Shelby Cobra 260, diabolically supercharged car, it declines in many models. It responds to the call of the foot Ford in 1965 developing the Shelby GT 350 Mustang based on to compete Chevrolet and Plymouth on the fashion industry and highly competitive muscle cars. In 1967, he is back with the new version of the Shelby. He then signs preparation V8 Mustang Fastback GT 390 as well as the Dodge Charger 440 V8 used in the movie Bullitt anthology of 1968, which eventually finalize the status of star Steve McQueen.